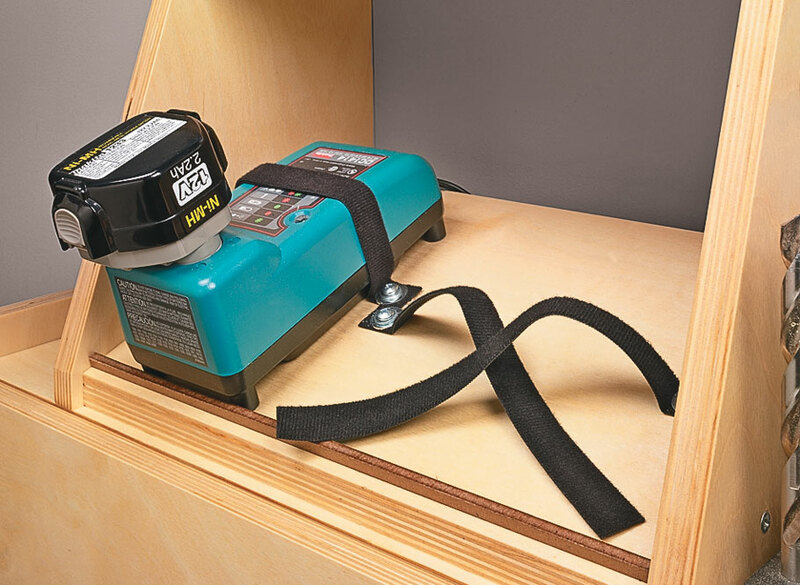 A cordless drill is a must-have tool. 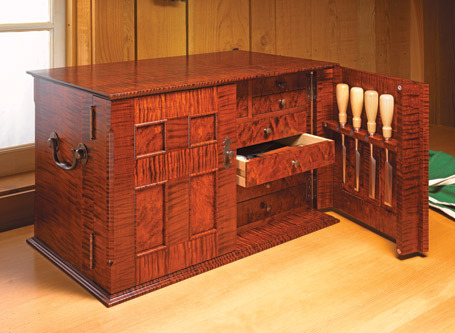 As a matter of fact, most woodworkers have several cordless tools. Add in the chargers and accessories and it doesn’t take long before this collection ends up all over the shop. 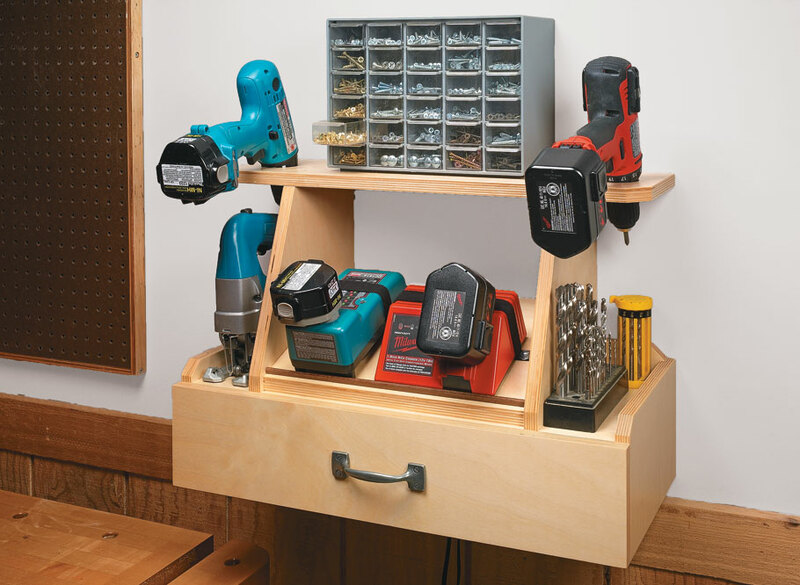 The tool station shown here can help keep everything organized. 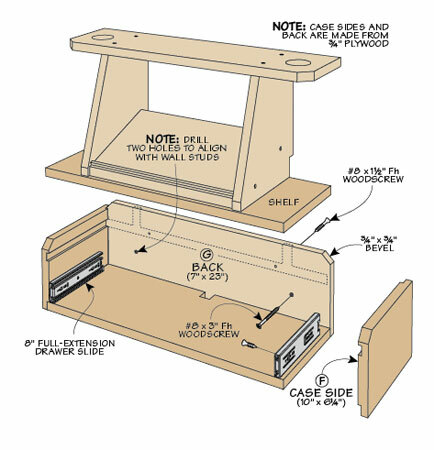 It’s nothing more than an open plywood tower resting on a drawer. 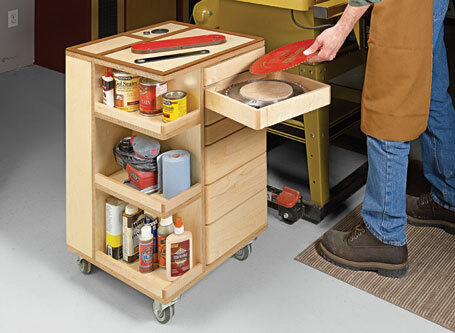 The key is that the tower design allows quick and easy access to both your tools and chargers. 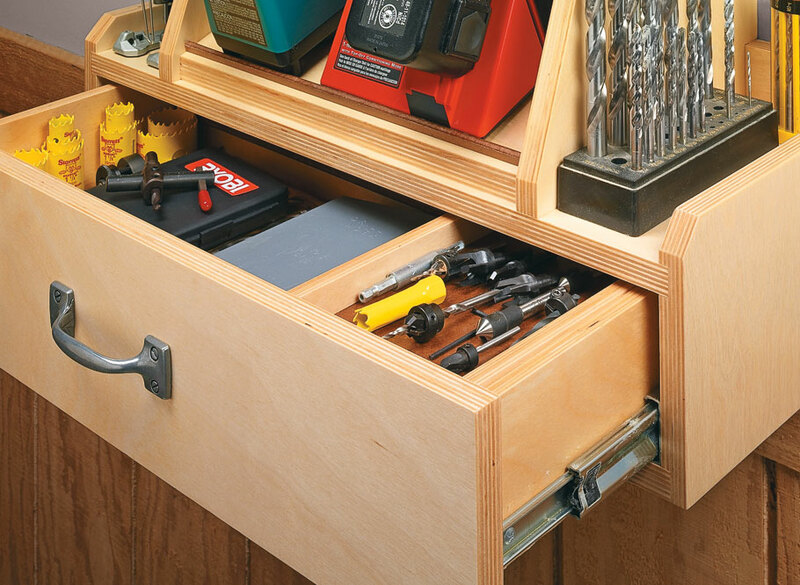 And to keep all your accessories close by, there’s a handy storage drawer. 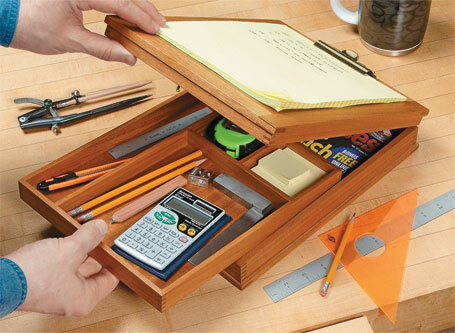 Inside the drawer is a shallow sliding tray that keeps often-used small items from getting lost. All in all, it’s an easy-to-build project you’ll find yourself using every day.